Hello everyone – The Meeting Room is almost ready ! Someone Special Needs You new parent group! 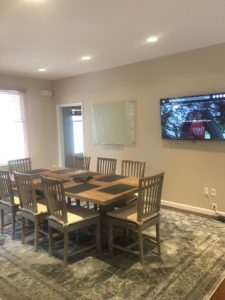 The Colts Neck Agency has a large presentation / Meeting room they have just renovated and will allow us to use for our newly forming parent group for Someone Special Needs You. 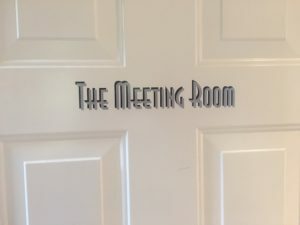 Our meeting room is a large area that will allow us to have parent groups that can talk about issues and share info with each other. I have always found that my richest information came from other parents. Look for more information coming soon including a new host for our event! Walk for Someone Special coming soon June 17th!! 2017 5th Walk for Autism a success! WOW what a Knight to remember! Great event ! Thank you to our Knights!! Sponsors! Vince on Thanksgiving event 2017- Thank you all ! Marianne lanczycki on Thanksgiving event 2017- Thank you all !